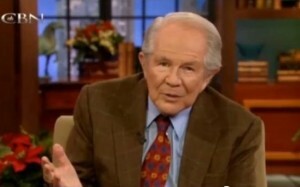 A well-known creationist is blasting televangelist Pat Robertson for remarks he made this week on his television broadcast, in which Robertson explicitly denied that the Bible supports a young earth. “We don’t need enemies from without the church when we have such destructive teaching within the church,” states Ken Ham, founder and CEO of Answers in Genesis, which operates a creation museum in Petersburg, Kentucky. Earlier this week, on Robertson’s The 700 Club, a question from a viewer was fielded to the televangelist, in which a woman named Michelle expressed concern that her husband and teenage sons were doubting the authority of the Bible. 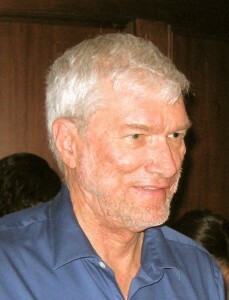 Robertson’s reply was immediately picked up by outlets worldwide as a declaration that even Robertson doesn’t believe in a young earth. “Look, I know people will probably try to lynch me when I say this, but Bishop [James] Ussher—God bless him—wasn’t inspired by the Lord when he said it all took 6,000 years. It just didn’t,” he stated. Ham and his ministry released statements following the broadcast, both on Facebook and the Answers in Genesis website. Mitchell explained that the Bible does indeed support a young earth and that the dinosaur fossil record is consistent with the Biblical timeline. The men state that they find it sad that so many visible Christian speakers are compromising their faith in society. Robertson is no stranger to controversy, however, as for years many have questioned both his associations with disreputable Republican candidates and his statements on a variety of societal and spiritual topics. In 2011, the televangelist came under fire for advising a man to divorce his debilitated wife, who was suffering with Alzheimer’s Disease.